Marc Kurzman is co-chair of the firm’s Litigation Practice Group. Mr. Kurzman has maintained an active commercial litigation practice for over thirty years. Mr. Kurzman has extensive experience litigating complex commercial real estate disputes, typically on behalf of property owners, landlords and developers, including property rights disputes, contested bankruptcy cases, environmental claims, insurance coverage disputes and tax, zoning and condemnation appeals. 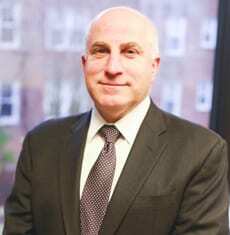 Mr. Kurzman also has extensive experience litigating a wide variety of contract, business tort and product liability disputes (including asbestos personal injury and property damage claims) in state and federal court and in arbitration fora. During the period 2005-2008, Mr. Kurzman served as outside general counsel to GAF Materials Corporation (North America’s largest manufacturer of residential and commercial roofing products) and International Specialty Products Inc (a multi-national specialty chemicals company). In additional to supervising all litigation for those two companies, Mr. Kurzman was responsible for advising management on the panoply of legal and regulatory issues confronted by companies of the size and business scope of GAFMC and ISP. Mr. Kurzman continues to serve in a “counsel” role for various business clients. Mr. Kurzman regularly serves as a volunteer Special Master in the Connecticut Superior Court and was appointed in 2009 to serve on the Judicial Performance Evaluation Committee. Mr. Kurzman has participated as a speaker in a number of bar association programs concerning land use and real estate ligation topics. He is an AV rated attorney and has been listed in Connecticut Super Lawyers from 2011 – 2016 for Business Litigation. Member of the Executive Committee and Board of Directors of Stamford Emergency Medical Services, Inc.